I still remember the first time I had a proper chile relleño. It’s a uniquely Mexican dish. And it turns out it’s a bit of a process to make. 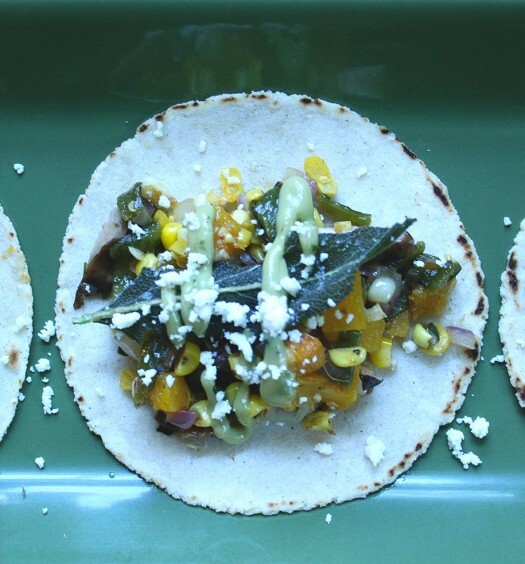 You need to roast and peel a poblano pepper carefully to keep the integrity of the pepper. Then you stuff the pepper, dredge it in flour and fluffed egg whites before frying. It’s worth all the work. Over the years we’ll always tried to come up with quick and easier ways to get the same flavors together. 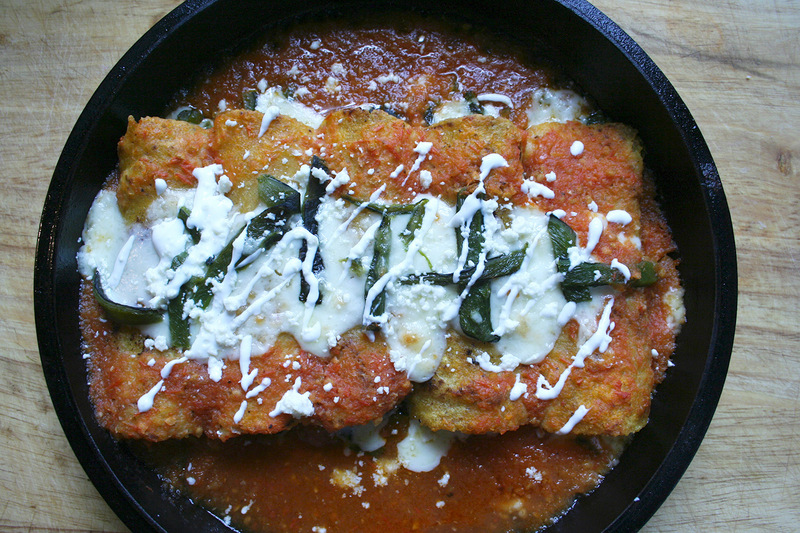 Our favorite Relleño recipe is in Mexico, the Beautiful Cookbook. 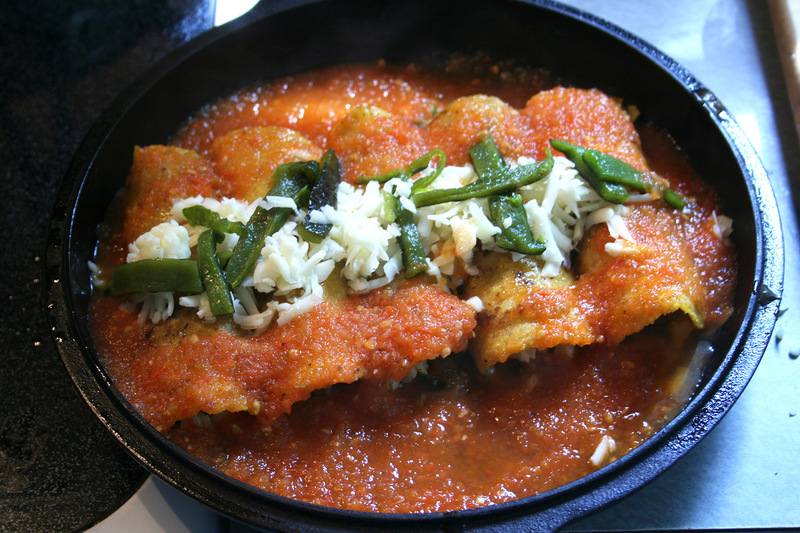 It has a simple cheese filling and is covered with a basic tomato sauce. 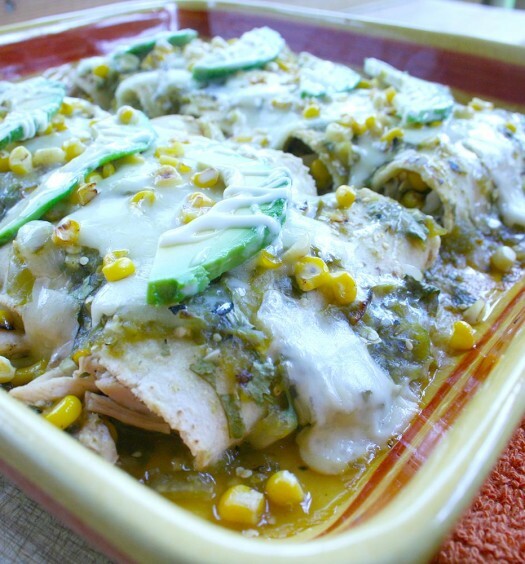 This recipe is basically the same but I’ve chopped up the roasted poblanos and combined with the cheese in an enchilada. Then I cover with the tomato sauce. It’s not a chile relleño, but it’s pretty tasty. 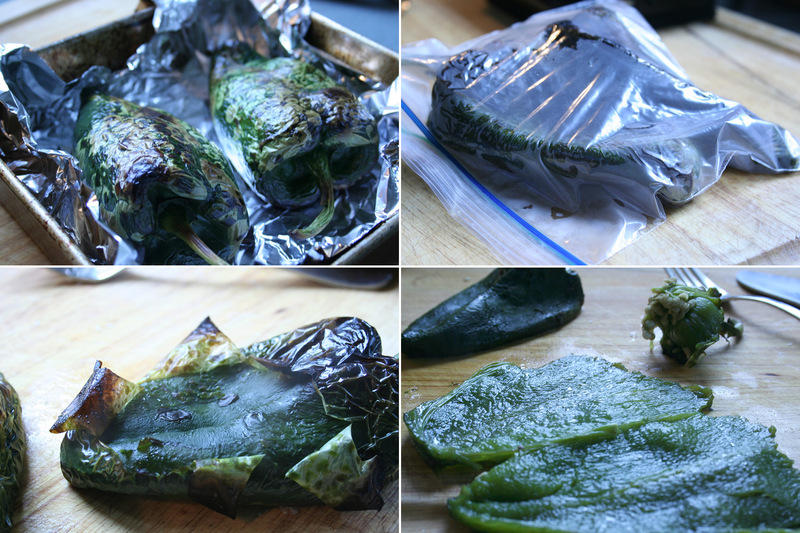 Place the poblano peppers on a foil lined cookie sheet. Broil as close to the heating element in your oven for 10-15 minutes. Flip once the top of the poblano’s are slightly charred. Then broil until the other side is charred as well. Remove and place the peppers in a ziplock bag or seal up in a damp kitchen towel and allow to steam for 10 minutes. Remove from the bag and peel off the skin. Cut open and remove the seeds and stem. 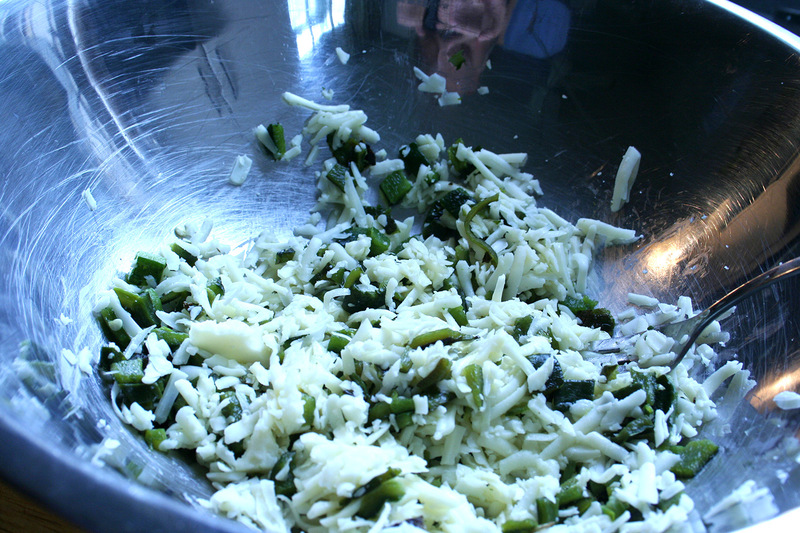 Dice into small pieces and add to shredded cheese. Place the tomato, onion, and garlic in a blender and blend till smooth. Heat a small amount of vegetable oil over medium heat in a small saucepan. 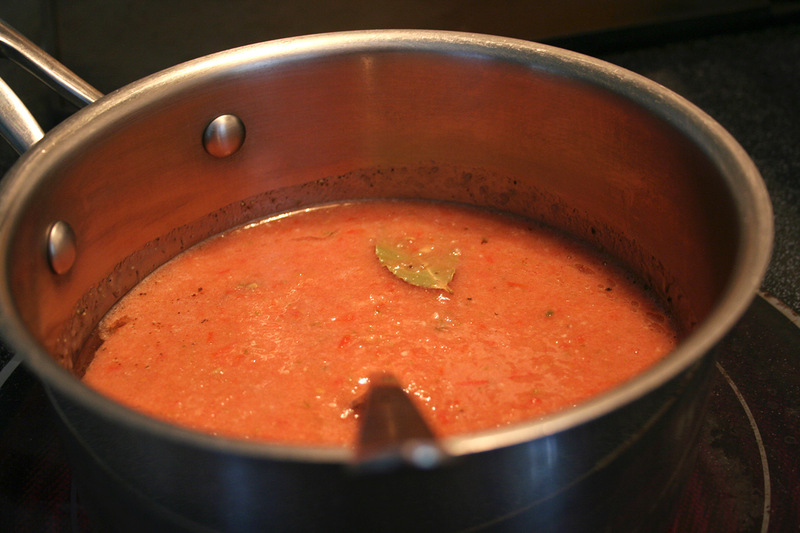 Add the tomato mixture, a few pinches of salt and pepper and the bay leaf. Bring to a boil, lower the heat, cover and cook for 10 minutes. Preheat the oven to 400º. Heat 2 Tbsp of vegetable oil in a skillet over medium heat. Pour about 1/3 cup of the tomato sauce in the bottom of an oven safe dish. 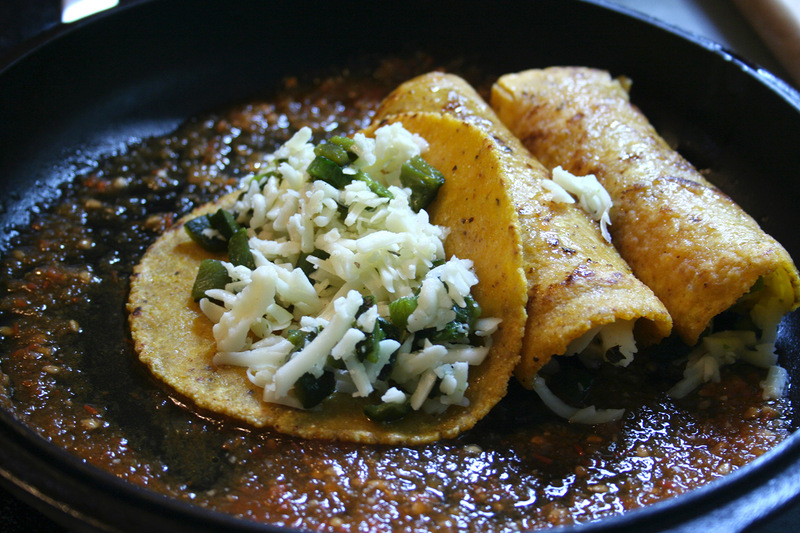 Add the corn tortillas one at a time into the oil and cook until soft. About 15-20 seconds per side. Place in the sauced dish and place about 1/2 cup of filling in the tortilla. Roll up and place seam side down. Continue with remaining tortillas. Reserve about 1/3 cup of the cheese filling to top the enchiladas. 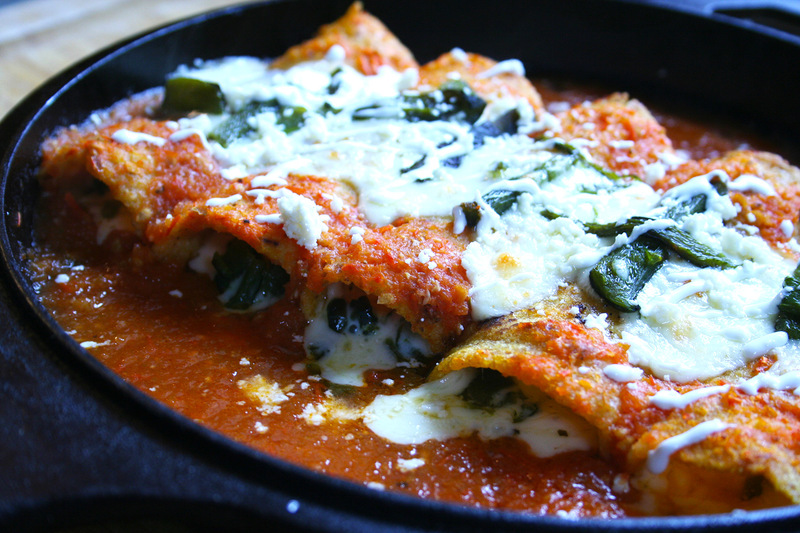 Pour the tomato sauce over the enchiladas and sprinkle the reserved cheese mixture down the middle of the enchiladas. Place uncovered in the oven and bake for 15 minutes. Remove from the oven. The cheese and sauce should be bubbling hot. Garnish with sour cream, queso fresco, and cilantro if you like. Awesome. This looks so amazing! I love your photos too. Thanks for sharing!